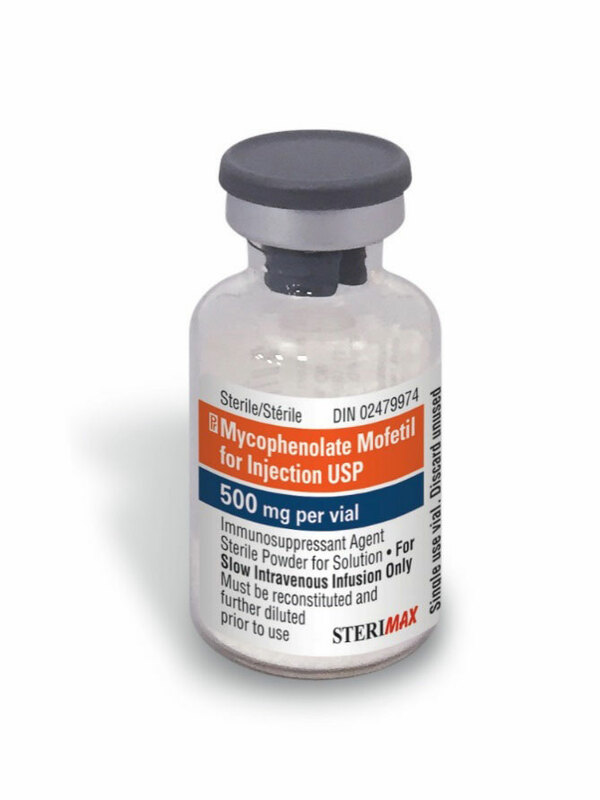 Mycophenolate Mofetil for Injection USP | SteriMax Inc. The prophylaxis of organ rejection in patients receiving allogeneic renal, cardiac or hepatic transplants. The prophylaxis of organ rejection in pediatric patients (2 to 18 years) receiving allogeneic renal transplants.